Herpes zoster or zoster, commonly referred to as shingles, is caused due to the reactivation of chickenpox virus or the herpes zoster virus (HZV). 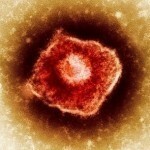 This virus is also known by another name, the varicella-zoster virus (VZV). Shingles is typically characterized by painful rashes that appear on the skin. Unlike the rashes seen during chickenpox, these are localized and cover a small portion of the skin. These blisters are often filled with fluid and are normally seen on the trunk, buttocks neck or scalp. A person who experiences the following symptoms is best advised to consult a professional medical practitioner immediately. Let us now look at some of the common symptoms that cause shingles or herpes zoster. some cases show that the pain persists even after the blisters are gone. This condition is called postherpetic neuralgia. 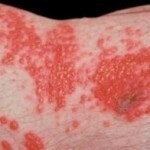 HZV or herpes zoster virus: As mentioned earlier, shingles is caused by the virus that causes chicken pox. Although there are no definite causes revealed for the cause of shingles, research has shown that it often occurs in people over 50 years of age. It is believed that the chickenpox virus in the body, after the initial attack in childhood or adolescence, remains dormant. As a person ages, the immune system tends to weaken, thereby leading to the reactivation of the the chickenpox virus. This leads to shingles. weakened immune system: Another possible cause for shingles could be the weakening of the immune system due to illnesses such as cancer, HIV / AIDS, lymphoma or radiation treatments. stress: It could even be caused when the body is under stress as it is more prone to an outbreak of shingles because the immune system is not at its peak. antivirals: The first in the line of treatment for shingles is antiviral medication. The most common antiviral that is used is Acylovir. This is taken orally and is known to reduce inflammation during an acute attack. Other antivirals include valacyclovir and famciclovir. These drugs are usually administered by the doctor as early as possible in order to counter the pain and inflammation caused by the virus. pain relievers: The doctors may advice the use of pain relievers such as acetaminophen, ibuprofen and so on to reduce the intense pain suffered by the patients. topical lotions and creams: Topical lotions or creams such as calamine might also be used to help reduce the itching sensation. In some cases, the doctors may decide to use topical corticosterioids to fight the pain and inflammation but one has to bear in mind that this should not be administered without the doctor’s advice. Keep the following pointers in mind to help the patient heal sooner and aid in making the treatment given by the doctor, more effective. The patient can use over-the-counter creams or lotions to help get some relief from the itching. Cool, tap water compresses can be applied for 20 minutes, several times a day, when the blisters are weeping or leaking. This will enable the blisters to dry sooner and also help to remove the scabs. It also helps to reduce the risk of bacterial infections. Stop using the tap water compresses, once the blisters begin to dry because, continuing to use them can lead to making the surrounding skin, dry and itchy. Please bear the following also in mind when a person gets affected with shingles. One needs to be very cautious, especially with children, when he / she is affected with shingles because it is contagious. The blisters contain the virus and so, anybody who has not got chickenpox earlier or who has a weakened immune system (due to illness or other factors) is prone to being affected by the virus. It is best to wear loose fitting clothes to avoid irritation caused by the rubbing of clothes against the blisters. It is said that the application of petroleum jelly helps the abate the pain. Ensure that the area around the patient is kept clean, using mild soap and water. Shingles isn’t completely understood. It most often occurs in people over fifty, but not always. This appears to relate to immune system weakness or stress. Is your son under a great deal of stress or is there something weakening his immune system? Once the disease has run it’s course, your son will be able to get back to living a normal healthy life.